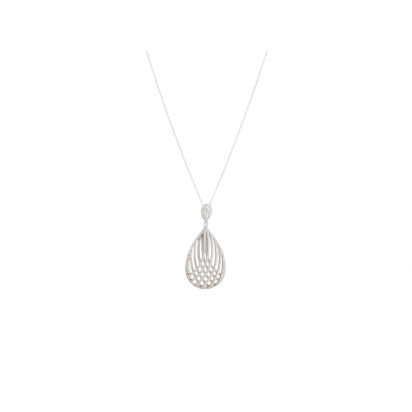 The Crossover Mesh pendant is fabulously set with CZs, and has a polished open back. The open crosso.. The Crossover Mesh pendant is fabulously set with CZs, and has a polished open back. The open crossover creates depth, and looks stunning when light catches it. It has an adjustable chain, giving you the felxibility to choose different lengths and has a spectacular pair of matching earrings.